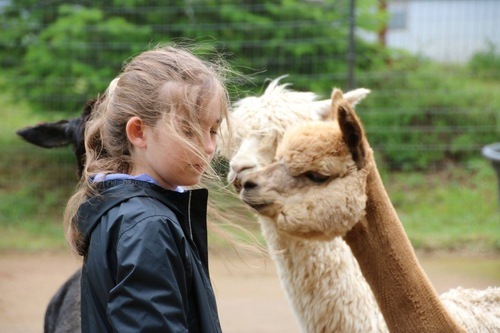 Cedar Creek Alpacas is happy to offer a variety of farm tours from one on one to groups. 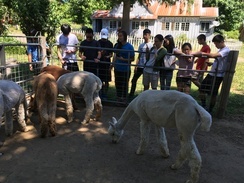 Our educational tours begin with a visit with the alpacas. Learn about their history, where they come from why they are so special, what they eat and do they spit? Next a trip to our new Fiber Studio where we demonstrate spinning on a spinning wheel to make yarn, weaving on a loom to make a beautiful scarf or blanket and the art of felting. If you would like a specialized tour that includes a fiber arts class please call and let us know what you are interested in. We can teach classes to all ages. 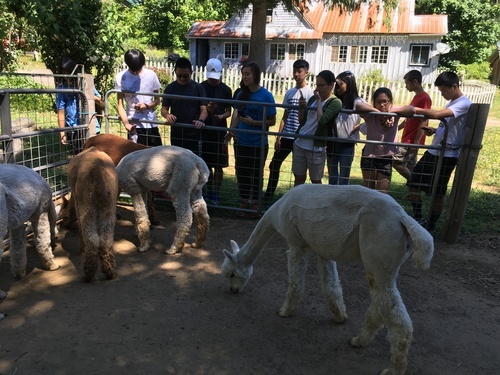 Private group tours are available by appointment. 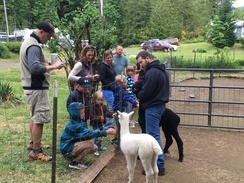 We will provide a personal farm tour guide for your group. We will work with you to create your own personalized tour. Group rates start at $5 per person.